Maari Ma Health is an Aboriginal community controlled health organisation dedicated to improving the health outcomes for communities in the far west region of New South Wales with a special focus on Aboriginal health. Maari Ma was established in November, 1995, following extensive community consultation conducted on behalf of the Murdi Paaki ATSIC Regional Council. Maari Ma is lead and governed by an all Aboriginal Board of Directors, democratically elected to represent 7 communities in our region: Broken Hill, Ivanhoe, Balranald, Menindee, Wilcannia, Wentworth Shires and Tibooburra from the unincorporated area. 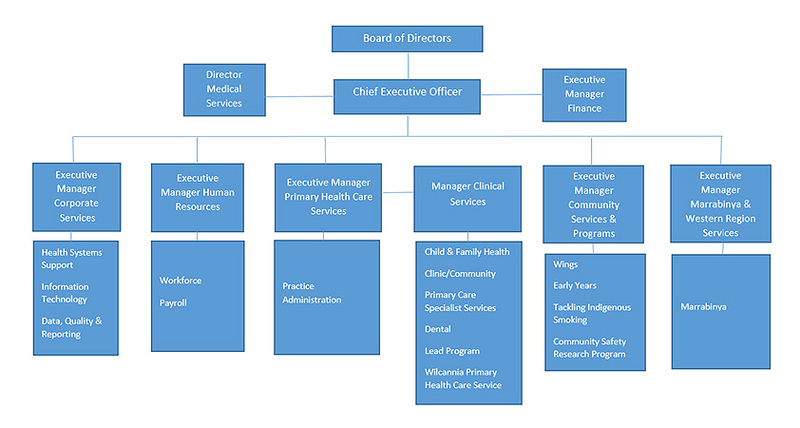 The board is deeply committed to providing a holistic approach to Aboriginal health that includes physical, emotional, spiritual, cultural and environmental dimensions. We deliver services to Aboriginal people and their families, and work closely with mainstream agencies to provide access to a broad range of services. Since our incorporation, Maari Ma has built strong local strategic partnerships. Maari Ma also strives to build and nurture partnerships with our communities as their participation in the planning and implementation of health and social programs is essential not only to quality health care but also to the integration of public health programs in our communities and improved community well-being. Far West Local Health District. NSW Attorney General's Department, Crime Prevention Division. NSW Department of Family and Community Services. We gratefully acknowledge all of these organisations for their continued support.